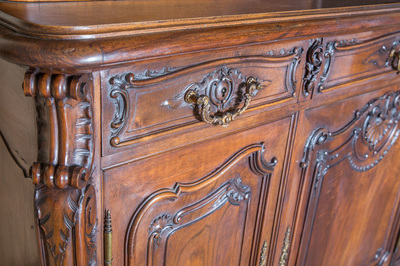 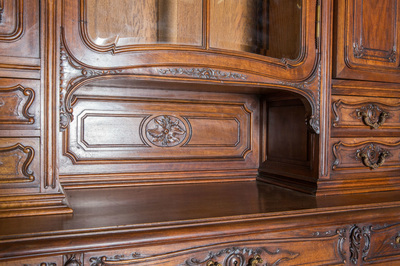 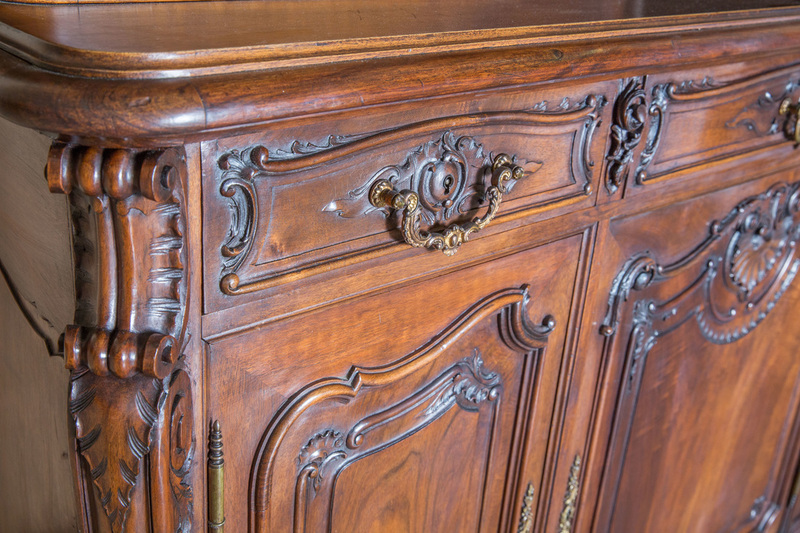 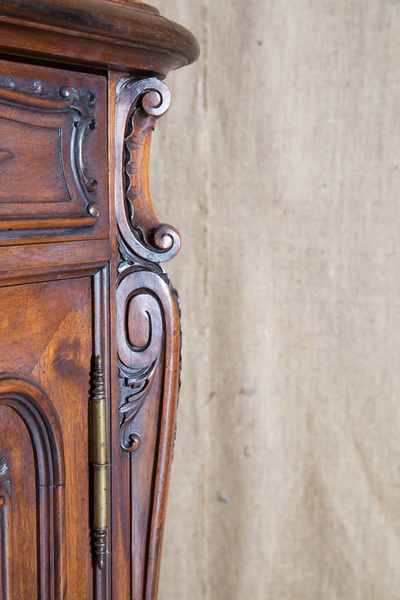 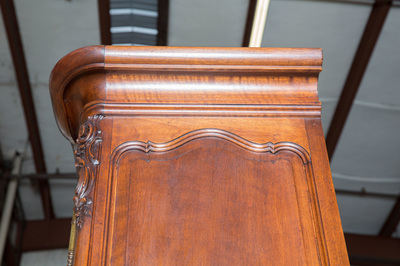 ﻿﻿﻿﻿Stunning Louis XV style buffet deux corps from La Belle Époque period in France, expertly crafted in solid walnut by the French ebeniste Bardie in Bordeaux. 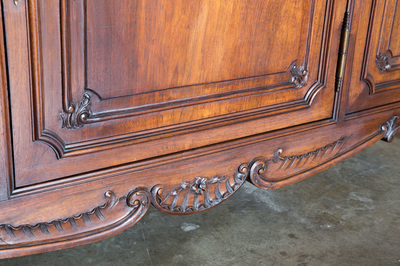 A faithful Rococo Revival, from the elaborately carved flowers, rocaille, and acanthus leaves to the graceful c and s-scrolls. 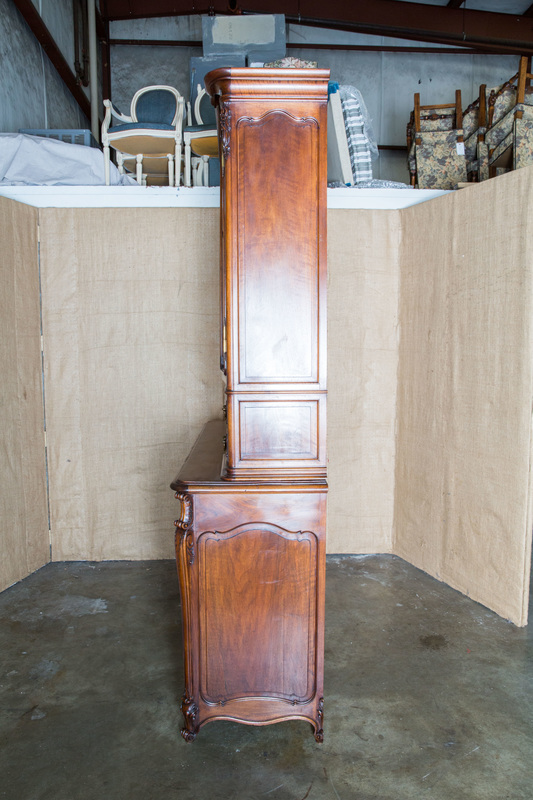 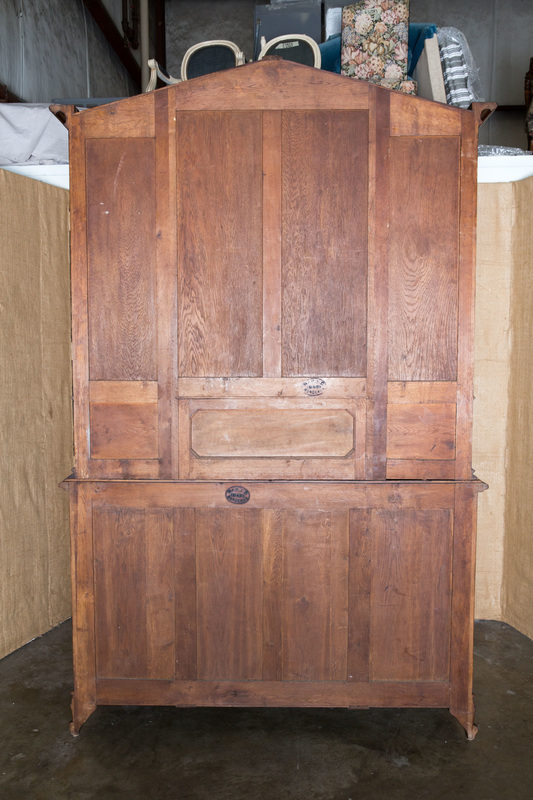 Upper cabinet with bonnet top over center glass front door, flanked on either side by doors with raised and recessed panels above four drawers. 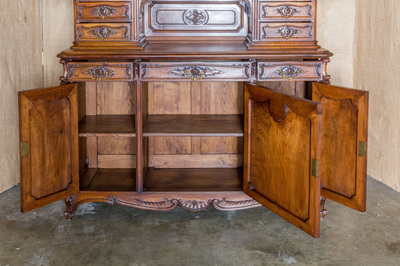 Lower buffet has three drawers over three doors with raised and recessed panels. Carved, shaped apron resting on short cabriole legs ending in escargot feet. 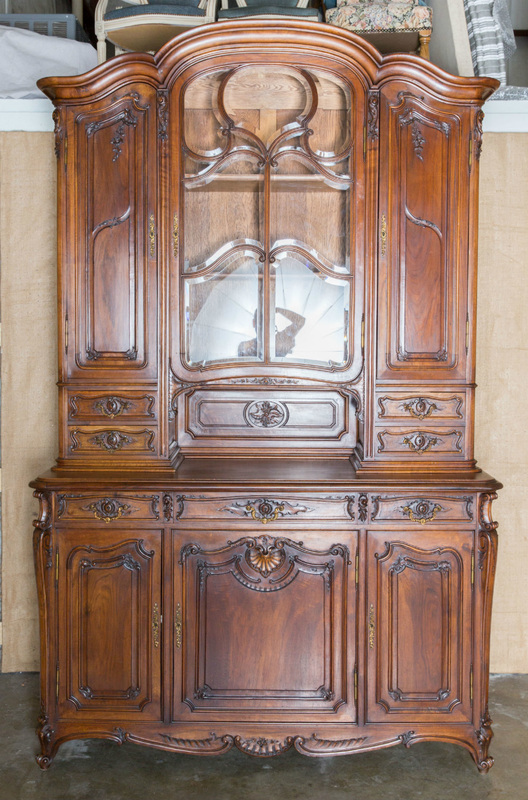 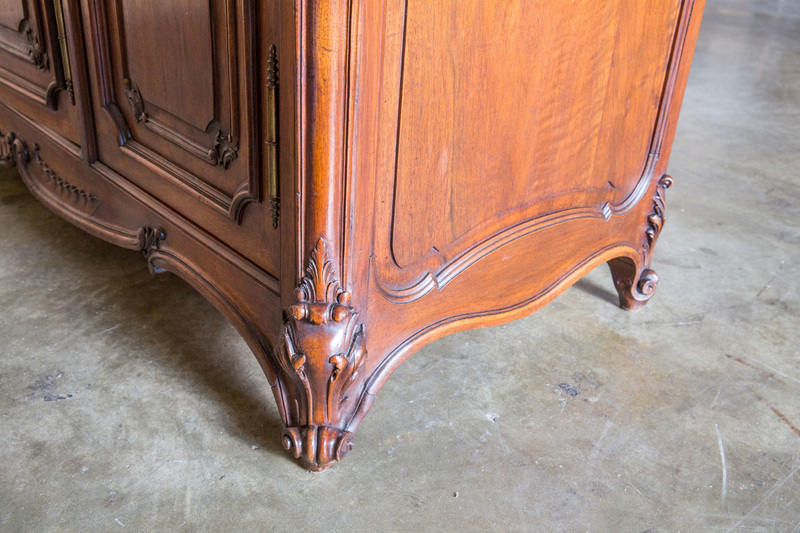 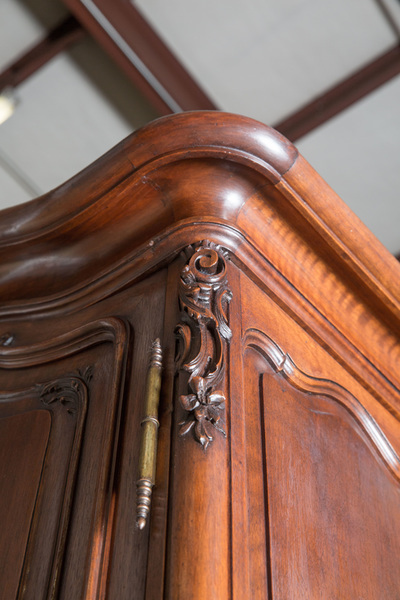 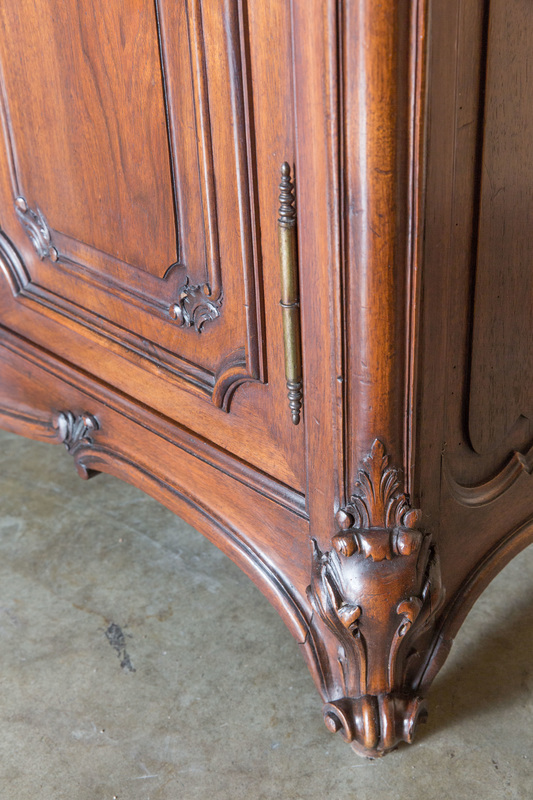 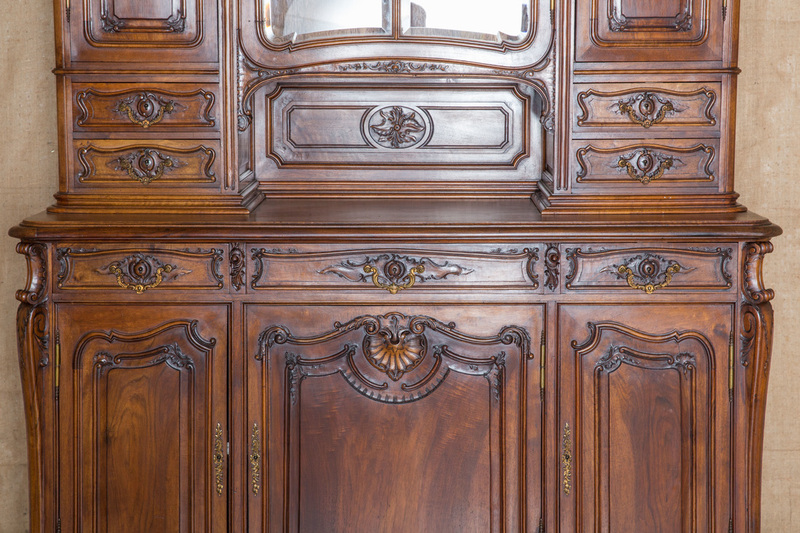 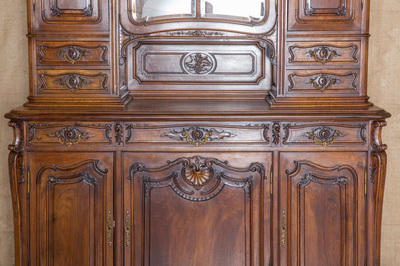 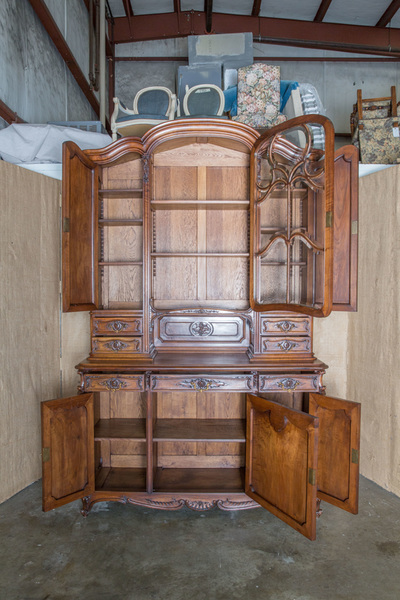 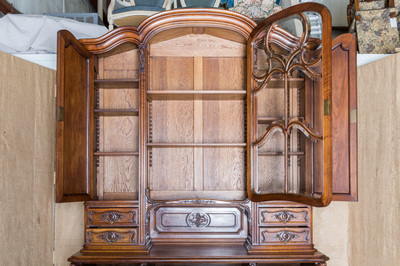 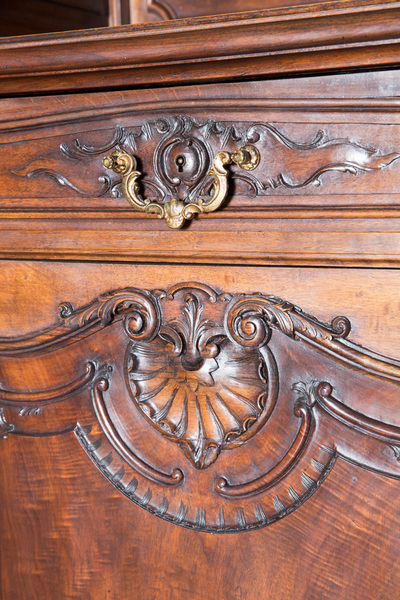 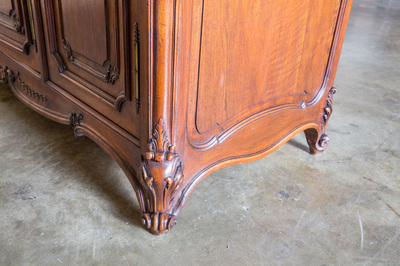 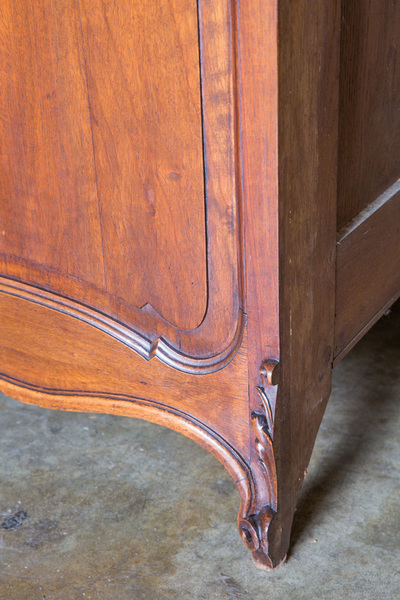 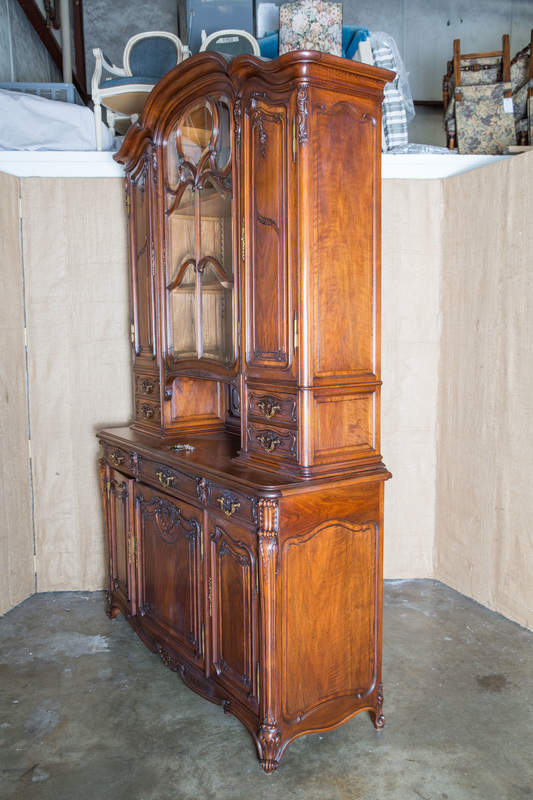 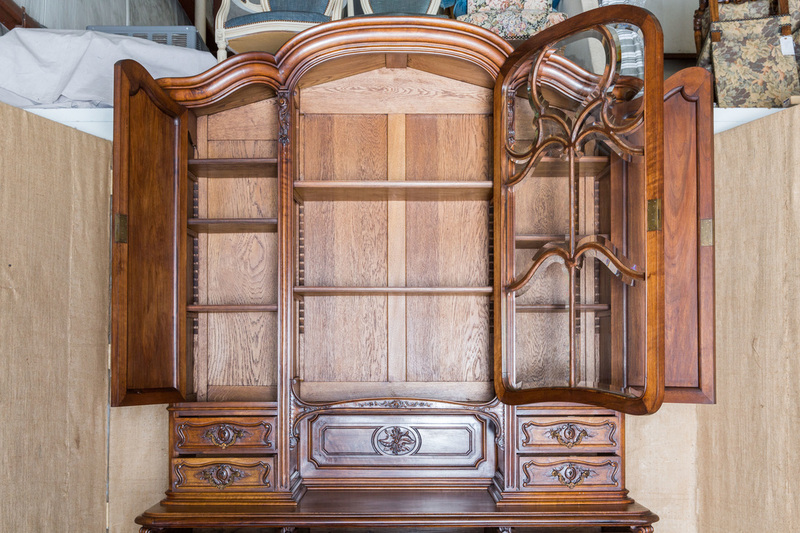 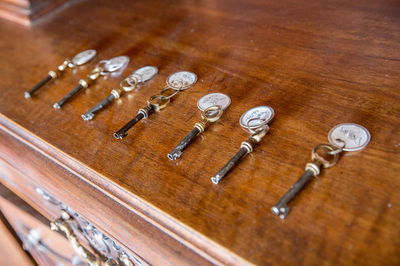 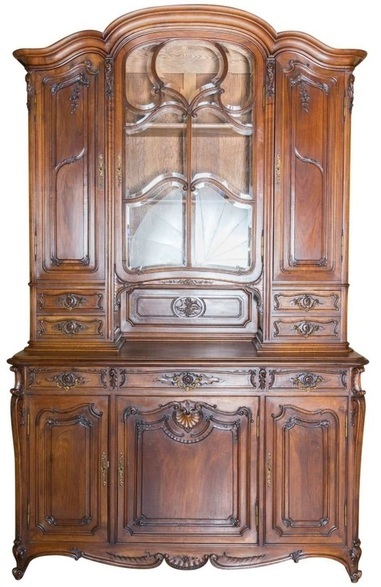 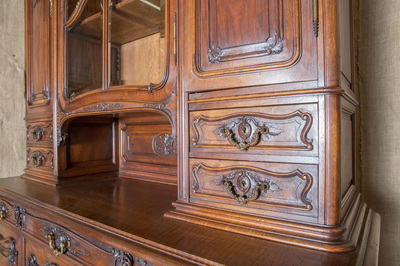 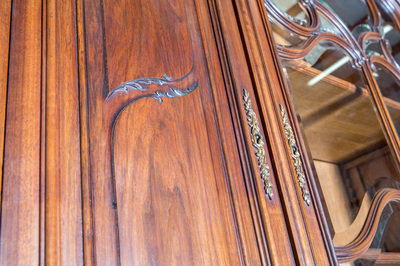 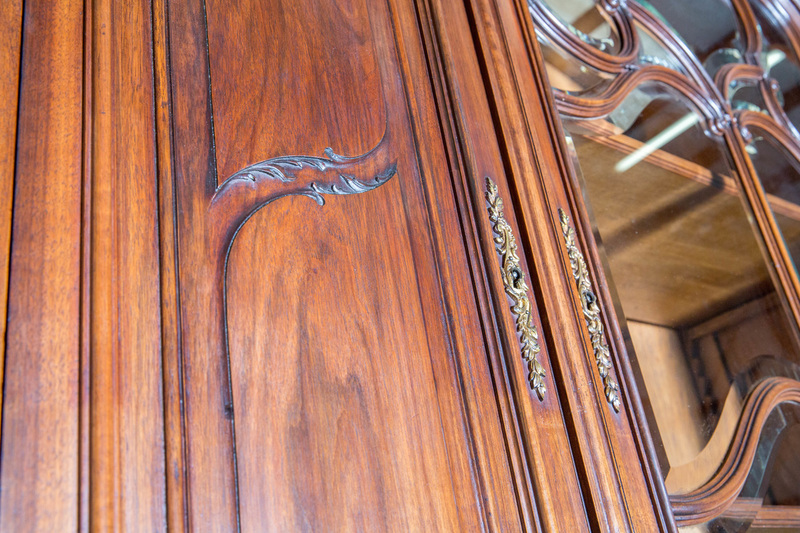 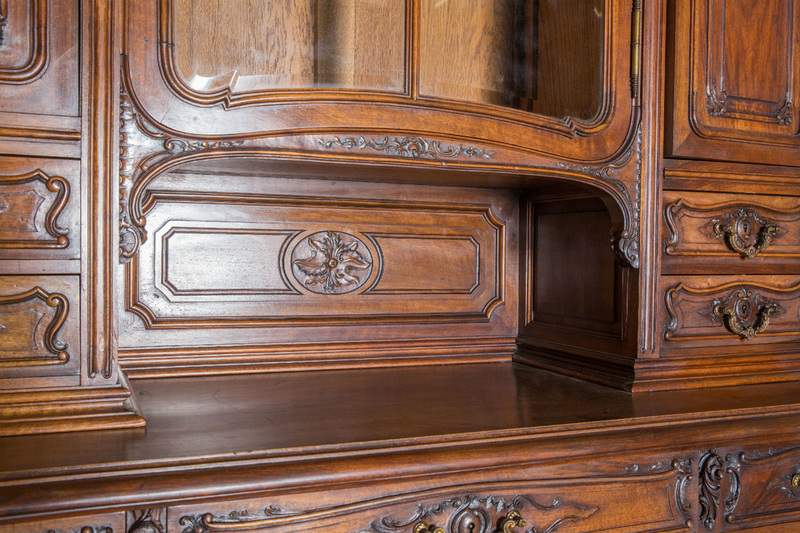 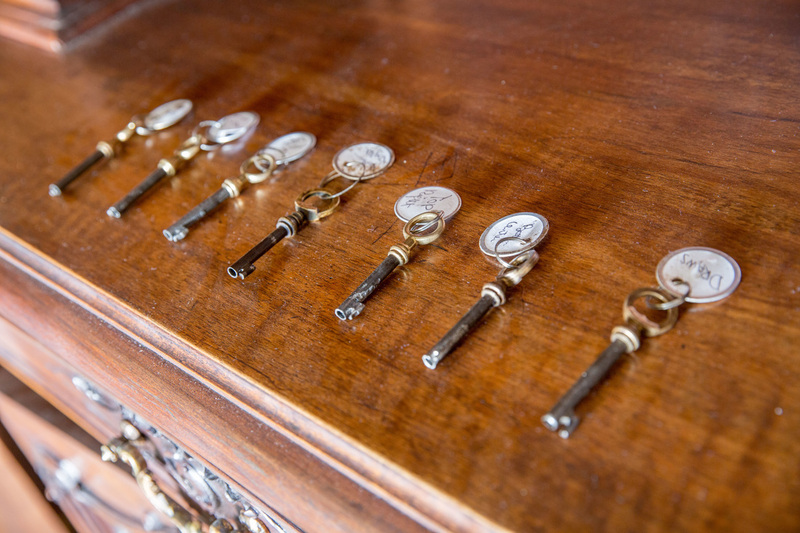 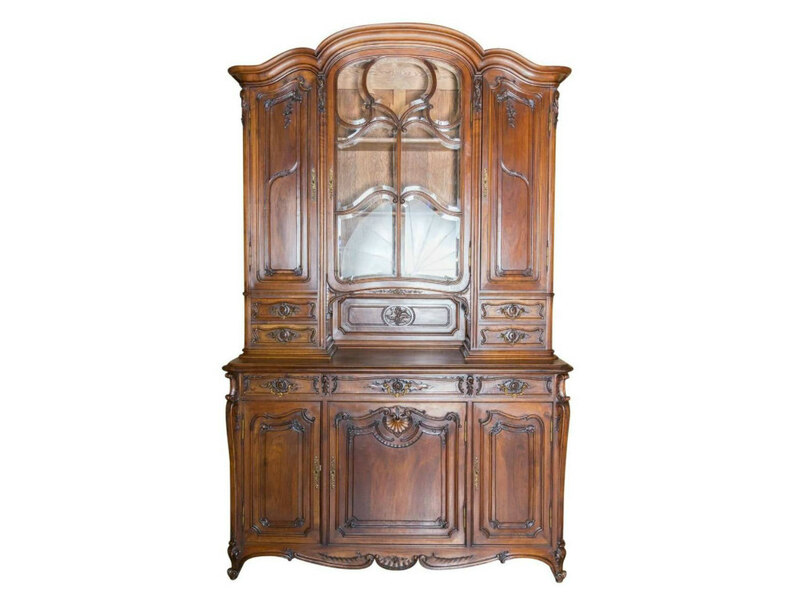 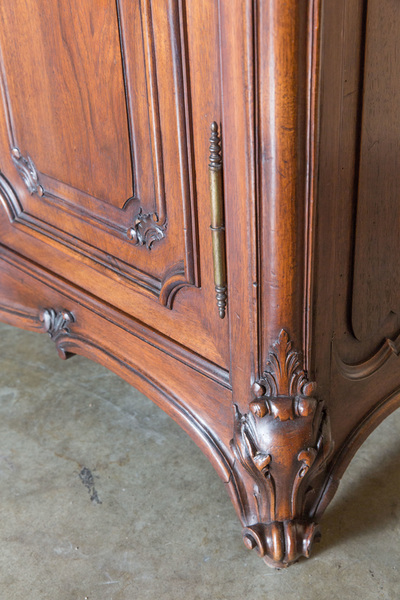 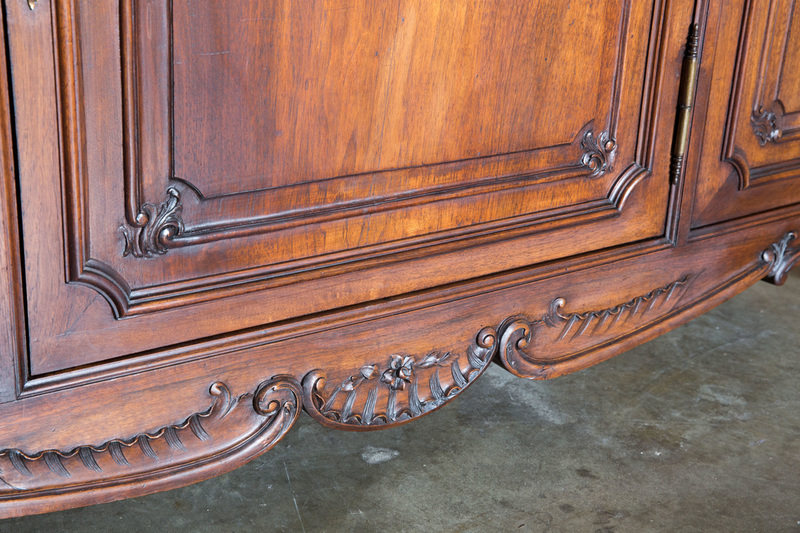 This beautiful buffet deux corps has seven keys, original glass and original bronze hardware. 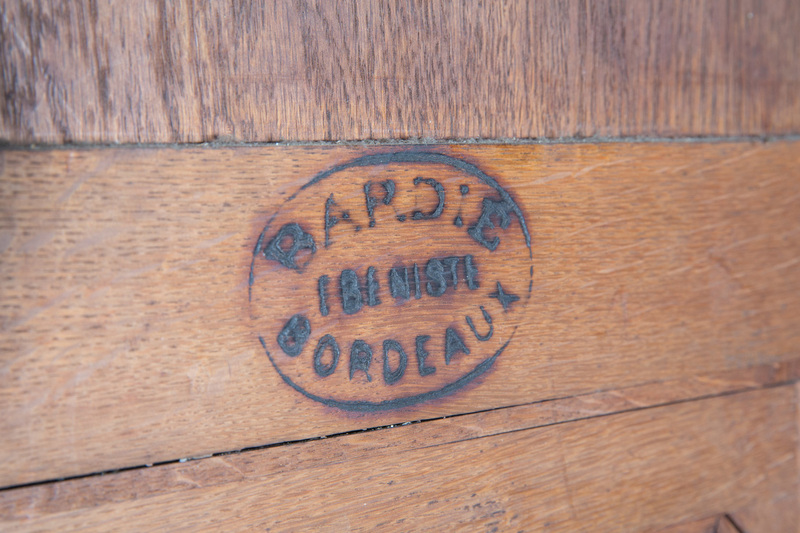 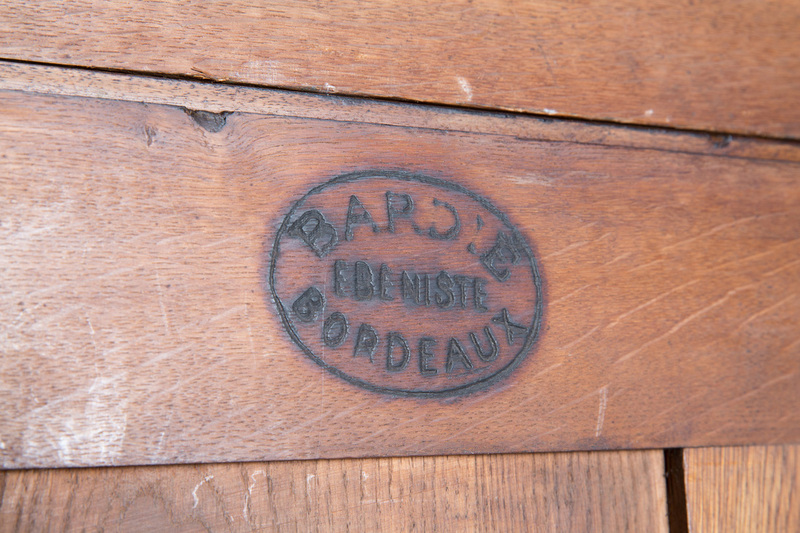 Stamped BARDIE EBENISTE BORDEAUX.